Zachary Johnson, PA-C is a board-certified Physician Assistant born and raised in Bloomington, IL. He graduated from Illinois State University with a degree in Biological Sciences. While at Illinois State, Zachary excelled in both academics and athletics as a team captain and all-conference third baseman. After graduation, Zachary performed research at Northwestern’s prestigious Robert H. Lurie Comprehensive Cancer Center in the Core Flow Cytometry Laboratory, with a focus in myeloid cell differentiation. He was published alongside his colleagues in Leukemia Research. 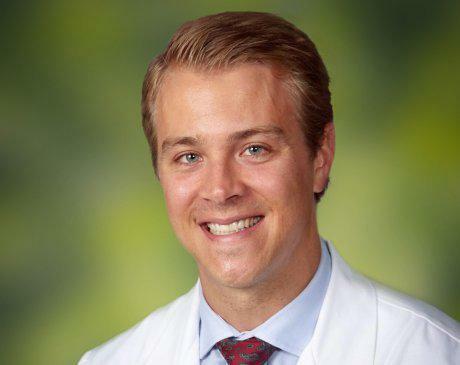 Following completion of his research, Zachary worked as a certified medical assistant at Dermatology & Mohs Surgery Institute in Bloomington, IL for a year and a half, where his passion for dermatology began. Zachary graduated with his Master’s of Science in Physician Assistant Studies at the University of Kentucky in June 2018 with a 4.0 GPA. He was trained in all areas of medicine, with an emphasis in dermatology. Zachary enjoys treating patients of all ages with kindness, empathy and compassion. Zachary also takes pride in creating an individualized treatment plan for each patient and is a proponent of shared decision making. Zachary is a member of the American Academy of Physician Assistants (AAPA), California Academy of Physician Assistants (CAPA), and the Society of Dermatology Physician Assistants (SDPA). In his free time, Zachary enjoys golfing, watching sporting events, spending time with loved ones, and staying active in beautiful Southern California. We accept all PPO insurance plans, Medicare, and ILWU Insurance. Here is a short list of companies we accept. Please feel free to call our office to discuss your coverage options.